Andrea started volunteering for KARE as a graphic designer in 2015, with very little (almost none!) experience in animal rescue/welfare/training. However, after spending a lot of time with KARE learning more about dog training/education, she has since taken on the roles of Marketing Coordinator, webmaster and social media manager. In addition to her marketing/design duties, she assists with coordinating KARE community events, fundraisers, and has occasionally fostered for KARE. 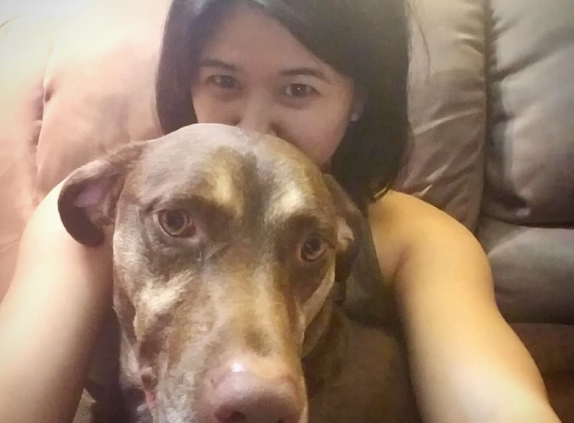 When Andrea is not doing “KARE stuff”, she is employed full time as a graphic designer for Navy Region Northwest, and enjoys spending her free time with her furbaby/”foster failure” Duke (@theDukeSullivan).